Thanks myassar for your reply on battery life. by the the mobile is superfast and never lagged not even a littlebit. 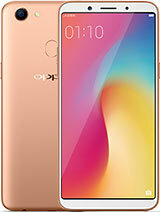 Hi to those who have purchased this cool phone, please comment on the battery life. Would it last 5 days with average use? Anonymous, 15 Dec 2008Can I use micro sd 4gb? yes, you can. Can I use micro sd 4gb? Anyway this phone is really good, small size, light and very stable... phone has not hang for the 2 weeks I have been using it. when will the GSMARENA make a full review about the htc touch 3g I wanna buy one but I wanna see if it's better than the touch diamond I know that there are a lot of issues about the diamond ... it lags a lot and the battery life is so short and it craches a lot. Australian release was scheduled for next week (8th) but it seems the release has been delayed until mid-January... Have HTC ever delivered without delays? Does this have an FM radio? ?